On this page you will find child speech assessments and related materials. They include Debbie James' Clinically Useful Words, Aubrey Nunes' Diagnostic Words, John Locke's Speech Perception Task, Caroline Bowen's Quick Screener and Quick Vowel Screener, Amy Meredith's Speech Characteristics Rating Form, Thomas Powell and Adele Miccio's Stimulability Assessment, and Robert Lowe's Alpha Test of Phonology. LINKING FROM YOUR SITE TO MINE? Please LINK to THIS PAGE. Do not link directly to the PDFs of pictures and test forms. Do not upload the PDFs of pictures and test forms to your site. In her doctoral research Dr Debbie James from South Australia found ten long words that were particularly 'clinically useful' in revealing speech production difficulties in children. The words were: ambulance, hippopotamus, computer, spaghetti, vegetables, helicopter, animals, caravan, caterpillar and butterfly. James, D. G. H. (2006). Hippopotamus is so hard to say: Children's acquisition of polysyllabic words. Unpublished PhD thesis, University of Sydney, Sydney. James, D. G. H. (2015). The relationship between the underlying representation and surface form of multisyllabic words. In C. Bowen, Children's speech sound disorders, Second Edition. Oxford: Wiley-Blackwell, pp. 439-443. Nunes provides an alternative collection of words which he calls diagnostic words. (Nunes, A. (1993). Unpublished paper, 1993 Child Language Seminar, Plymouth: University of Plymouth). The words are: animal, archeopteryx, asbestos, calculator, cardigan, Geronimo, hippopotamus, hospital, Jerusalem, magnet, monopoly, Pentagon, soldier, spaghetti and yellow. There is a related discussion thread on the phonologicaltherapy list. In an individual client it is possible that one or more errors are due to the child’s inability to hear the difference between his or her customary production and the target correctly produced, but this difficulty may not be readily apparent. Dr John Locke’s (1980) procedure takes the guesswork out of trying to decide whether a child actually can hear the difference between error and target, at word level, when these are spoken by an adult in word contexts. Bowen, C. (2015). Children's speech sound disorders, Second Edition. Oxford: Wiley-Blackwell, pp. 391-392. Locke, J. L. (1980). The inference of speech perception in the phonologically disordered child. Part II: Some clinically novel procedures, their use, some findings. Journal of Speech and Hearing Disorders, 45, 445-468. In PACT Therapy (Bowen, 2009, 2010, 2015; Bowen & Cupples, 2006) for children with phonological disorder, Parent Education, one of the five components of PACT, starts with the administration of the Quick Screener (or the SLP/SLT’s procedure of choice). This happens early in the assessment and therapy process. Parent(s) watch the testing and the scoring, and these are discussed. The aim of having parents involved in independent analysis of the child's single word screening sample is to help them see the therapist's focus on the systematic nature of phonology as opposed to a sound-by-sound orientation. The screener is re-administered periodically to allow parents an objective means of tracking and appreciating their own child's progress. The screener can be used with the original Dean, Howell, Hill and Waters (1990) easel book on which the stimulus items are based, or the picture slide show or pdf above can be used. Bowen, C. (2010). Parents and Children Together (PACT) Intervention for Children with Speech Sound Disorders. In A. L. Williams, S. McLeod, & R. J. McCauley (Editors), Interventions for Speech Sound Disorders in Children. Baltimore, MA: Paul H. Brookes. Bowen, C. (2015). Children's speech sound disorders, Second Edition. Oxford: Wiley-Blackwell, pp. 416-419; 432-436. On this page the phonetic symbols are for General Australian English (Harrington, Cox & Evans, 1997). On this page the phonetic symbols are for Educated/Cultivated Australian English (Mitchell, 1946; Mitchell & Delbridge 1965). On this page the phonetic symbols are for New Zealand English (Maclagan, 2009). On these pages are larger pictures and the phonetic symbols are for General Australian English (Cox, 2012; Harrington, Cox and Evans, 1997). On these pages are four picture stimuli for each vowel. There are no phonetic symbols on these pages so that SLPs/SLTs can write in symbols that reflect the variety of English spoken by the individual whose speech is being assessed. Cox, F., (2012) Australian English: Pronunciation and Transcription, Cambridge University Press. Harrington, J., Cox, F., & Evans, Z. (1997). An acoustic study of broad, general and cultivated Australian English vowels, Australian Journal of Linguistics, 17, 155-184. Maclagan, M. (2009). Reflecting connections with the local language: New Zealand English, International Journal of Speech-Language Pathology, 11(2), 113-121. Mitchell, A.G. (1946). The Pronunciation of English in Australia. Sydney: Angus & Robertson. Mitchell, A. G. & Delbridge, A. (1965). The pronunciation of English in Australia (revised edition). Sydney: Angus & Robinson. This is the first of three slide shows for Speech-Language Pathologists / Speech and Language Therapists to use when communicating with teachers and psychologists about children with speech sound disorders. This one is about identifying children who might be candidates for screening. This is the second of three slide shows for Speech-Language Pathologists / Speech and Language Therapists to use when communicating with teachers and psychologists about children with speech sound disorders. This one is about the screening procedure. This is the third of three slide shows for Speech-Language Pathologists / Speech and Language Therapists to use when communicating with teachers and psychologists about children with speech sound disorders. This one is about teachers/psychologists communicating with a child's parents about speech screening. Standardised tests are integral components of core test-batteries, and necessary when qualifying children for services, but are limited in usually only addressing segmental (phonetic) performance and phonemic organisation. The errors of children with childhood apraxia of speech (CAS) are not exclusively segmental or phonological (Highman, 2009), posing an assessment challenge. The speech characteristics rating form was created by Dr Amy Skinder-Meredith in response to this challenge, allowing a thorough, more encompassing, suprasegmental view of a child’s output. As clinicians, we know that some children progress well with phonetic production accuracy while remaining poorly intelligible due to some combination of atypical prosody, resonance, voice quality and fluency. Moreover, disordered prosody in CAS is a prominent research finding (Shriberg, Aram, and Kwiatkowski, 1997a, b, c; Velleman and Shriberg, 1999). Skinder-Meredith, A. E. (2015). Speech characteristics rating form. In C. Bowen, Children's speech sound disorders, Second Edition. Oxford: Wiley-Blackwell, pp. 312-318. The term stimulability assessment refers to a dynamic evaluation (Strand, 2009) wherein a clinician provides verbal, visual, tactile or auditory cues to determine if the child is able to adequately produce a sound or syllable structure with clinician support and scaffolding (Miccio, 2009; Glaspey and Stoel-Gammon, 2007). Use this form to assess stimulability of consonants in isolation and to two syllable positions. Miccio, A. W. (2015). First things first: Stimulability therapy for children with small phonetic repertoires. In C. Bowen, Children's speech sound disorders, Second Edition. Oxford: Wiley-Blackwell, pp. 177-182. Powell, T. W., & Miccio, A. W. (1996). Stimulability: A useful clinical tool. Journal of Communication Disorders, 29, 237-253. As sole owner of the copyright, on this day, December 1, 2009, I give my permission to professionals or students in the field of speech-language pathology to use the ALPHA Test of Phonology with the stipulation that the test will not be sold and if distributed will include the author’s identifying information. The ALPHA provides two assessments using a delayed sentence imitation format. First, the ALPHA provides a traditional sound-in-position assessment looking at initial and final consonant production. Second, if enough sound errors are present, the sample can be analyzed for the presence of phonological processes. Each of fifty target words is embedded in a short sentence. Following the examiner's sentence model and presentation of a stimulus picture, the subject repeats the stimulus sentence as the examiner transcribes the target word produced by the subject. From the transcriptions of these target words, the examiner completes the assessment with traditional scoring for articulation errors or by analyzing the sound change errors for the presence of phonological processes. Test results enable the examiner to compare the subject's performance with normal-speaking peers, aged 3;0 to 8;11, through the use of the normative data, and to determine appropriate intervention goals. Dr Lowe writes, "the ALPHA was originally developed so that it could be used to do both a traditional articulation assessment and, if needed, a phonological process assessment. It was the first phonology test to be published that was based on a normative sample. I believe that it is still a useful assessment instrument and have adjusted the forms so that it can be easily downloaded in pdf format. Below are some of the changes from the original forms. The original ALPHA test form was all on one large 16 x 22 inch sheet that neatly folded into compact size. That was not convenient for downloading, so now there are three (or four) 8 x 11 inch sheets instead. The cover sheet has the traditional identifying information, summary score information, phoneme and process analysis sections. I have added a Consonants Correct score which is just a total of consonants that were targeted and made correctly. From one administration to the next this score should become smaller if the client is making progress. This number could reflect just the sounds listed for the Target words or could also include the sounds listed for the Secondary words which will be described later. This form has seven columns. The first column contains the sentence stimuli with the Target Words italicized and bolded. The second column lists the Target Words. The third and fourth columns are for entering the initial and final sound transcriptions. The last three columns are new. In that the ALPHA uses sentence stimuli, I decided that some of the other words in the sentences could also provide the clinician with useful information. These ‘Secondary’ words are listed and the final two columns are for transcription of the indicated sounds in those words. The information from the Secondary words CANNOT be used when applying the ALPHA norms, but do provide additional information about sound production. There are two forms for identifying the phonological processes. These were designed to line up with the Target and Secondary word rows on the Relational Analysis Form. One is set up for the Target words and one for the Secondary words. Shaded areas indicate that the process is not likely to occur for the sounds in the associated word. Each column is wide enough so that potential processes for initial sounds can be checked on the left and for final sounds checked on the right. The advantage is that a quick visual inspection will show the clinician positional influences on the use of phonological processes. As with the original ALPHA, you would total all of the checks in the column and write it in at the bottom of the page. Only the processes identified for the Target words can be used with the ALPHA norms. The original manual and tables have also been put into pdf format for easy downloading along with the picture stimuli and an identification matrix. The matrix makes process identification a much easier task and is recommended for those who are new to the ALPHA or to phonological processes in general. The matrix is based on the process definitions used by the ALPHA and would not be appropriate for other tests of phonology. The stimulus sentences used for the ALPHA have been placed on two label templates (Avery 5160). If the user desires he or she can download the pictures and labels to create a test booklet so that while the client is looking at the picture stimulus, the clinician will be looking at the associated stimulus sentence." A graduate of Ohio University, Dr Lowe received his doctorate in speech pathology in 1986. His work experience includes several years as a school clinician in Iowa before beginning university teaching at the University of South Dakota. Since 1985 he has been a professor at Bloomsburg University of Pennsylvania where he teaches courses in phonetics, diagnostics, fluency and phonology. Dr Lowe is author of the ALPHA- R Test of Phonology (Lowe, 2000), a textbook on phonology (Lowe, 1994), a workbook on phonological processes (Lowe, 2002), an expert essay on intrinsic motivation and self-efficacy (Lowe, 2009), co-author of two workbooks for articulation and phonology intervention (Lowe and Weitz, 1992a, 1992b) and author of a text on speech-language pathology and related professions in the public schools (Lowe, 1993). Dr Lowe has kindly made the ALPHA Test of Phonology freely available, with appropriate acknowledgement, to SLP/SLT clinicians, student clinicians and researchers. 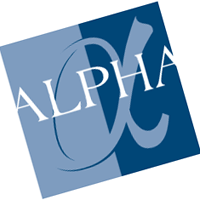 Published by LinguiSystems in its first edition in 1986 the ALPHA/ALPHA-R is a normed test that continues to receive enthusiastic and positive feedback from its many users. Lowe, R. J. (1986). Assessment Link between Phonology and Articulation. E. Moline, IL: LinguiSystems. Lowe, R. J. (2000). Assessment Link between Phonology and Articulation -Revised. Mifflinville, PA: ALPHA Speech & Language Resources. Lowe, R. J. (2002). Workbook for the identification of phonological processes and distinctive features, 3rd Ed. Austin, TX: Pro-Ed. Lowe, R. J. (2015). The role of intrinsic motivation in learning of new speech behaviours. In C. Bowen, Children's speech sound disorders, Second Edition. Oxford: Wiley-Blackwell, pp. 398-401. Lowe, R. J. & Weitz, J. (1992a). Activities for the remediation of phonological disorders. Dekalb, Ill: Janelle Publications, Inc.
Lowe, R. J. & Weitz, J. (1992b). Picture resources for the remediation of articulation and phonological disorders. Dekalb, IL: Janelle Publications, Inc.